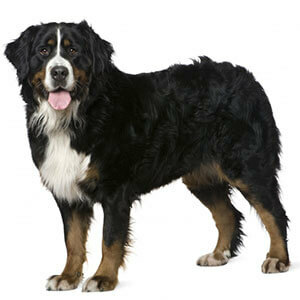 Compare the Bernese Mountain Dog to the Bloodhound. Use the tool below to compare temperament, size, personality, maintenance requirements, and everything else between Bernese Mountain Dogs and Bloodhounds. Owner Experience - Both the Bernese Mountain Dog and the Bloodhound are good for new owners, but the Bernese Mountain Dog is a slightly better choice. Children - Both the Bernese Mountain Dog and Bloodhound are great with children. Grooming - Both breeds have high grooming requirements, but the Bloodhound is slightly easier to groom between the two. 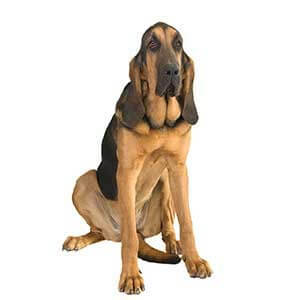 Barking - The Bloodhound bark/howls frequently. The Bernese Mountain Dog has an average level of barking. Lifespan 6-8 yrs. 11-15 yrs. Height 23-27 in. 23-27 in.